My Mom made the best ever as her master tip made it so heavenly tasty that one couldn’t stop eating it. Alhamdolillah I have given her recipe to all my friends and they swear of the best chaat ever and I thank Allah, as all this credit goes to my Mom dear! And now the queen of all tips which is my Moms way! 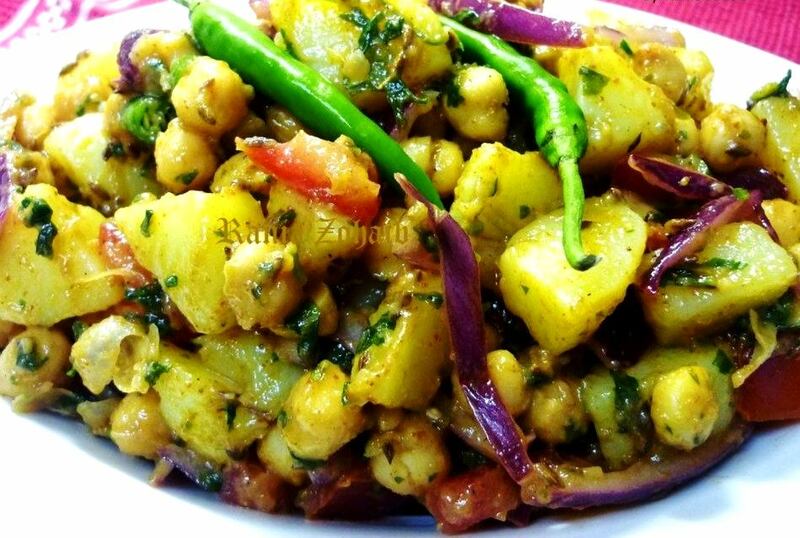 After it is mixed well, heat the8-10 tbs oil in a pan and roast the 2-3 tsp white cumin in it, as soon as it starts to sizzle pour it directly on the chaat , this brings out the flavour and gives it the special taste!!! You can make it before time as it is served cold, just give the baghaar when you have to serve, this gives it a shinny glaze and a very fresh look!! - let it cool and store in a glass bottles, lasts nearly over a month in the fridge.